The Panasonic ER-GB37 Trimmer Black provides a comfortable and elegantly styled clean shave for men who are looking for freshness. For men looking for a smooth shave combined with an ease of usage in their daily grooming products should definitely have the ER-GB37 Trimmer as their go to trimmer. 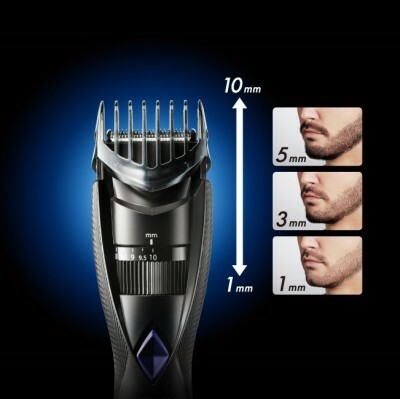 Built in a lasting and smooth design, the trimmer gives a uniformly smooth trim with minimum effort and maximum comfort. The trimmer is specially designed for precision cutting with a unique 45 degree angle blade that provides optimal coverage. Panasonic ER-GB37 Men's Trimmer (Black) / ER-GB370K The Panasonic ER-GB37 Trimmer Black provides a comfortable and elegantly styled clean shave for men who are looking for freshness. For men looking for a smooth shave combined with an ease of usage in their daily grooming products should definitely have the ER-GB37 Trimmer as their go to trimmer. Built in a lasting and smooth design, the trimmer gives a uniformly smooth trim with minimum effort and maximum comfort. The trimmer is specially designed for precision cutting with a unique 45 degree angle blade that provides optimal coverage. We have little time to look after our needs, thanks to our busy schedules these days. So, it is all the more necessary that we have products that are efficient and sturdy to help us. The Panasonic ER-GB37 Men's Trimmer (Black) is one of the products that fall under this category. 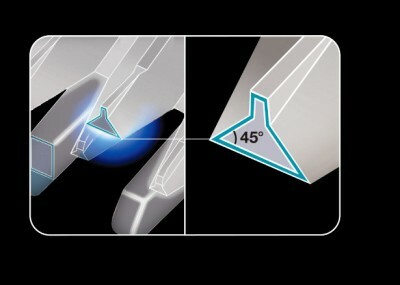 This device is top-notch in its design, with a 45 degree edged blade for precise cutting of hair. This design will make sure that you are always satisfied with the results when you use this trimmer. This trimmer will give you smooth, even 0.5 mm cut, when used with foam. This device can be used both in wet and dry conditions, making it all the more convenient for you, if you need to use it every day. The trimmer is water proof, so you can wash it on a regular basis. This will ensure that your product remains hygienic and clean at all times, preventing any harm or damage. The length can easily be set using the quick adjust dial - you can choose between 19 settings, from 1 to 10 mm! Being cordless as well, this product is definitely worth buying. Go for the Panasonic ER-GB37 Men's Trimmer, and look fabulous in no time at all! 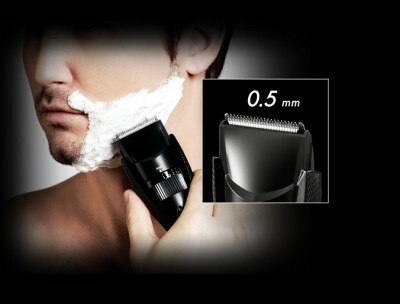 To Recieve updates and possible rewards for Panasonic Beard Trimmer ER-GB37 please sign in. To Recieve updates and possible rewards for Trimmer, Clipper & Shaver please sign in.